Healthy Now and Later: What is a Medigap Plan or a Medicare Advantage Plan? What is a Medigap Plan or a Medicare Advantage Plan? Seniors have important choices to make once they are eligible for Medicare. Will the government’s Medicare plan pay enough of their medical expenses after age 65? Seniors should not wait until they reach age 65 to study their options! Advance research and discussion will help them make an informed decision when they are eligible for Medicare. Seniors should consider before they reach age 65 do they need a Medigap plan or a Medical Advantage plan in addition to Medicare? A Medigap plan is a medical plan that supplements the government provided Medicare plan Parts A, B and D. Medigap plans are also called “Medicare Supplement” plans. Medigap plans pay some of the medical care costs that Medicare does not pay including deductibles, co-pays, medical care outside of the U.S. and more. Medicare pays its benefits first and then the Medigap plan pays the difference, if any, between the benefit promises of the Medigap plan and what Medicare paid. Medigap plans are sold by many private insurance companies. While the plans are similar there are differences in the exact benefits provided by each plan. 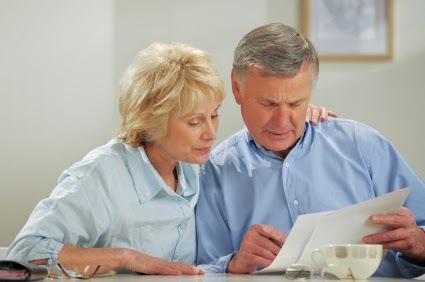 Seniors should select a Medigap plan based upon the level of benefits they want to receive in total. The senior will pay a premium for the Medigap plan to the private insurance company and premiums for Medicare Part B and D to the U.S. government. • Some Medicare Advantage plans have $0 premiums each month as the government payment to them covers the full cost of the Advantage plan. Medicare.gov contains extensive factual information on both of these types of private plans as well as details of what Medicare covers.